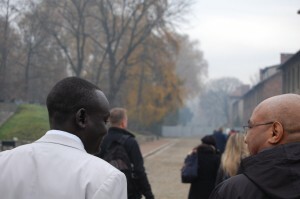 On November 8 through November 14, 2015, the Auschwitz Institute for Peace and Reconciliation (AIPR) held the ninth Global Edition of the Raphael Lemkin Seminar for Genocide Prevention. 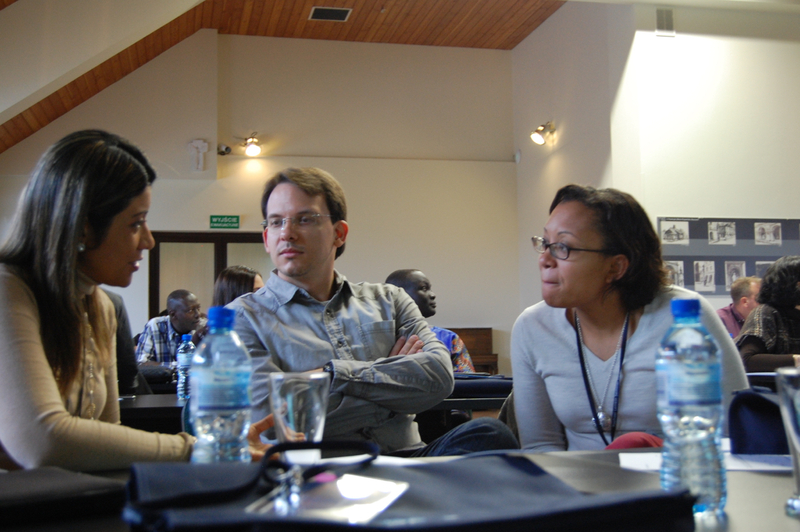 This year, we welcomed 24 participants from the following countries: Kenya, Sudan, South Sudan, Uganda, Tanzania, the Philippines, Morocco, the United States of America, the United Kingdom, Uruguay, Slovenia, Costa Rica, El Salvador, Argentina, Brazil and the Netherlands. 11 instructors and three observers joined with participants for the weeklong program in Krakow and Oświęcim, Poland. The week was divided into several thematic parts, with the first two days devoted to taking advantage of situational learning and the “Power of Place” offered by the seminar’s location at Auschwitz. Following the Seminar’s opening ceremonies, the first day featured modules presented by AIPR’s Academic Director, Dr. James Waller, introducing the concept of genocide and a survey on the rise of Nazism as well as the first half of the Auschwitz camp tour. The second day began with Dr. Waller presenting “The Final Solution as Process”, and a module by Alicja Bialecka, Plenipotentiary for the New Main Exhibition of the Auschwitz-Birkenau State Museum entitled “Between Memory, Commemoration and the Authentic Site: Auschwitz as a Reference Point for Contemporary Societies”. The day concluded with the second half of the Auschwitz tour, a tour of the Auschwitz Jewish Museum, and a debriefing of the Auschwitz experience. The third, fourth, and fifth days were devoted to “Upstream”, “Midstream”, and “Downstream” prevention, respectively. On Wednesday, participants heard presentations on legal frameworks for prevention, participated in an exercise on identity, and took part in Dr. Waller’s modules on response tools for prevention and “Becoming Evil: How Ordinary People Commit Genocide and Mass Atrocity”. On Thursday, the group attended three modules taught by representatives from the UN Office on Genocide Prevention & the Responsibility to Protect as well as a presentation from Laura Lane, a former American consular officer who was working in Rwanda during the genocide. 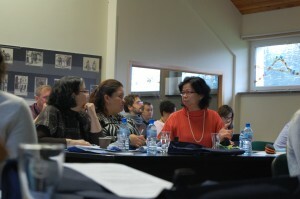 Friday featured modules on transitional justice and a presentation on the state of affairs in Burma, a crisis hot spot. On Saturday, the final day, attendees participated in a capstone simulation exercise. This activity allowed participants to experience putting prevention into action and was led by AIPR’s Executive Director Dr. Tibi Galis and Dr. James Waller. The seminar then closed with a debriefing session and presentation of certificates. The next Global Raphael Lemkin Seminar for Genocide Prevention is scheduled for November 6-13, 2016. If you would like more information on the program, please contact the Program Director, Ms. Samantha Capicotto.